Highlights of Reliance JioTV launch app allows users to watch 626 live TV channels in 11 categories. Reliance Jio offers free content services to its subscribers via JioTV, JioCinema and JioSaavn applications. Recently, the company partnered with Disney to offer free content in the JioCinema app. The JioTV app is another application that places Jio in front of its rivals. As the name suggests, the JioTV app is a live TV viewing app available for Android and iOS users. Jio even briefly introduced a web version of the JioTV app, but it was overturned due to issues. Speaking of the JioTV app, it currently broadcasts 626 live TV channels in 11 categories. This is particularly the largest number of channels transmitted by a mobile application or a telecommunication service provider at the moment. At present, the 626 new channels in the Reliance Jio application include the largest number of news and entertainment channels, 197 news channels and 123 entertainment channels, respectively. In addition, there are 54 devotional channels and 49 educational channels in the app. In addition, the app contains 35 channels of information and entertainment, 27 children, 10 lifestyles and 8 channels of commercial information. The application is also not limited in language, as it offers channels in many languages ​​such as Hindi, English, Telugu, Tamil, Malayalam, Kannada, Gujarati, Marathi , Punjabi, Assamese, Odia, Bhojpuri, Urdu, Bengali and French. 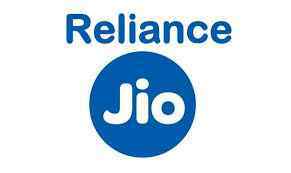 In addition 46 more HD English and 32 HD Hindi channels are available in Reliance JioTV app. Currently, the Reliance JioTV app is available for download in the Google Play Store and provides free access to Reliance Jio subscribers. To broadcast channels in your app, Reliance Jio has also partnered with content distributors such as Star India, Sony Pictures Networks India and Sun TV Network. All channels of these distributors are available on JioTV. At present, Reliance JioTV has over 100 million downloads on the Google Play Store. In the same row, Airtel also offers the Airtel TV app, which offers more than 375 channels, but is still lagging behind the Reliance JioTV app. The app has more than 10,000 popular movies and TV shows, and the company has also partnered with distributors such as Eros Now, Sony LIV, HOOQ, Hotstar, Amazon, AltBalaji and the programs of all these widely available vendors in the application. This Airtel app has over 50 million downloads on the Google Play Store. Vodafone India is not far behind in the race of the best live TV application. The telecommunications company had previously announced that it would offer streaming video to Vodafone subscribers in the Vodafone Play app. This was part of Vodafone's strategy to compete with Reliance Jio. Vodafone has also placed particular emphasis on regional content with this publication and 5,000 Hollywood films called Bhojpuri, Telugu, Kannada, Tamil, Marathi and Hindi. The Vodafone Play app also allows subscribers to broadcast 300 live TV shows. Vodafone has also partnered with content providers such as Yupp TV, ALT Balaji and HOOQ for this offer. Vodafone Play also has more than 300 live TV channels.